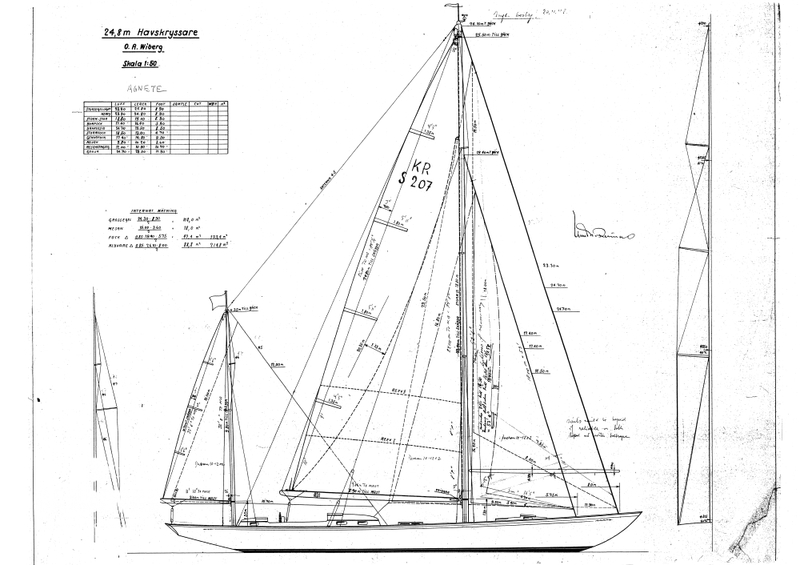 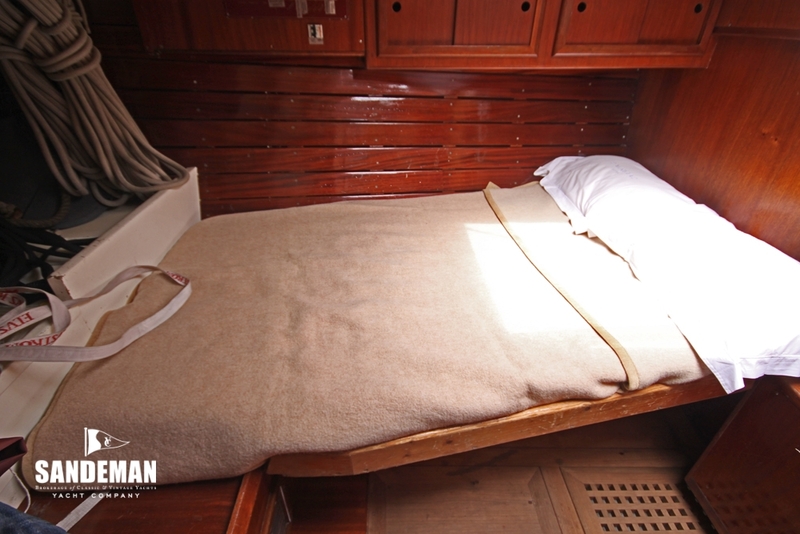 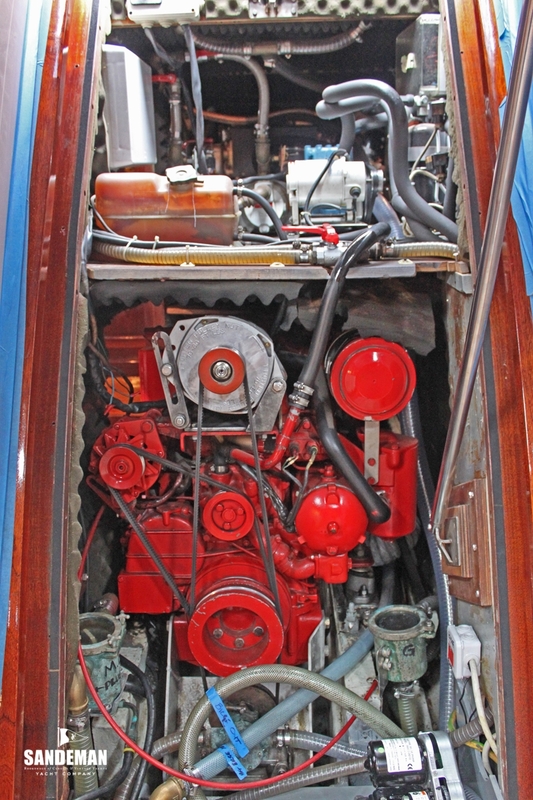 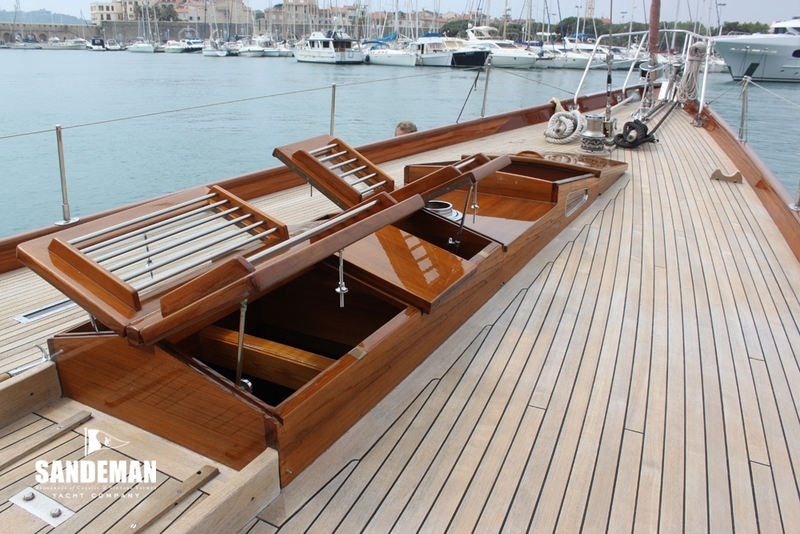 AGNETA has many features of the Square Metre boats for which her designer Knud Reimers became famous – but combined with those of fast ocean racers of the period making her perhaps an early version of today’s “mini maxis”. 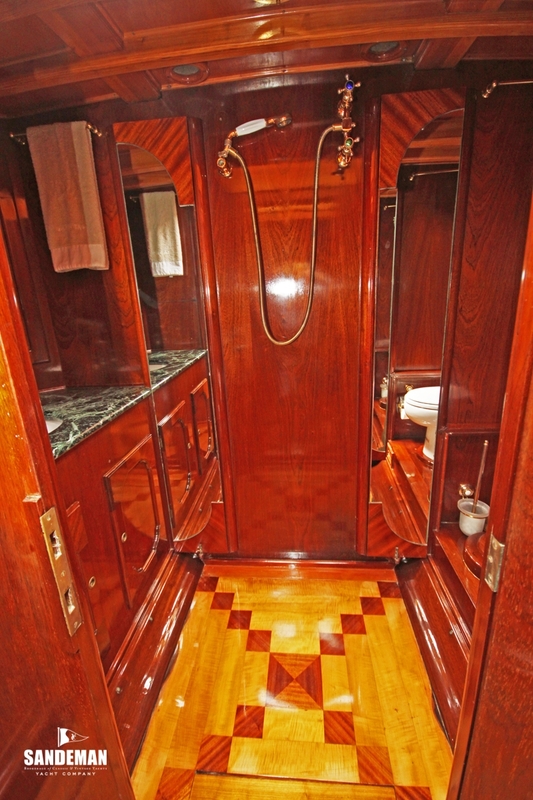 Having one of his designs described by Uffa Fox “......as near to perfection as it is possible to get in this imperfect World” Reimers\' AGNETA surely qualifies ! 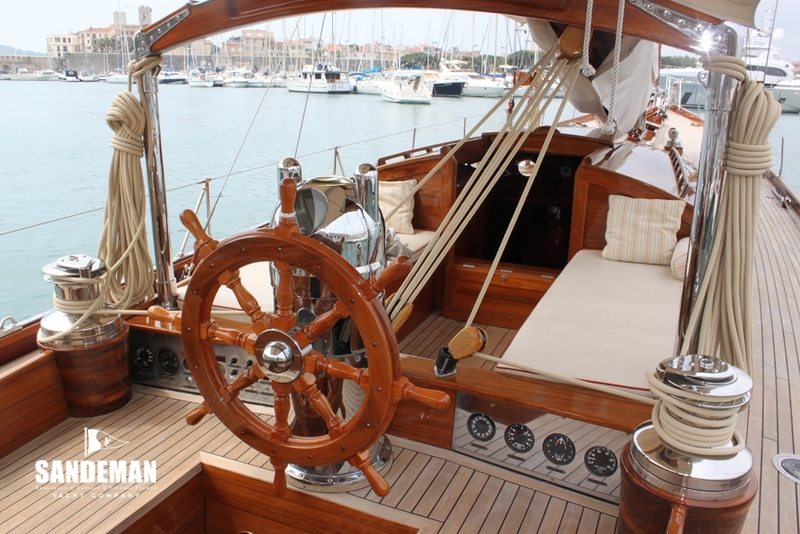 It is probably not surprising with his lust for beautiful things and enthusiasm for the sport, that Gianni Agnelli was to become AGNETA’s owner. 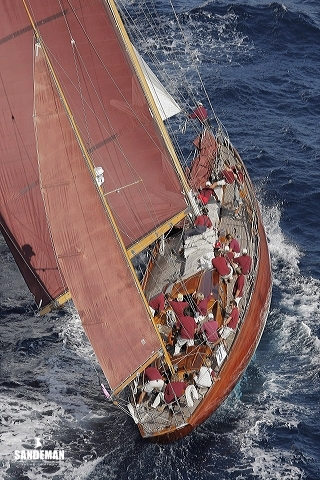 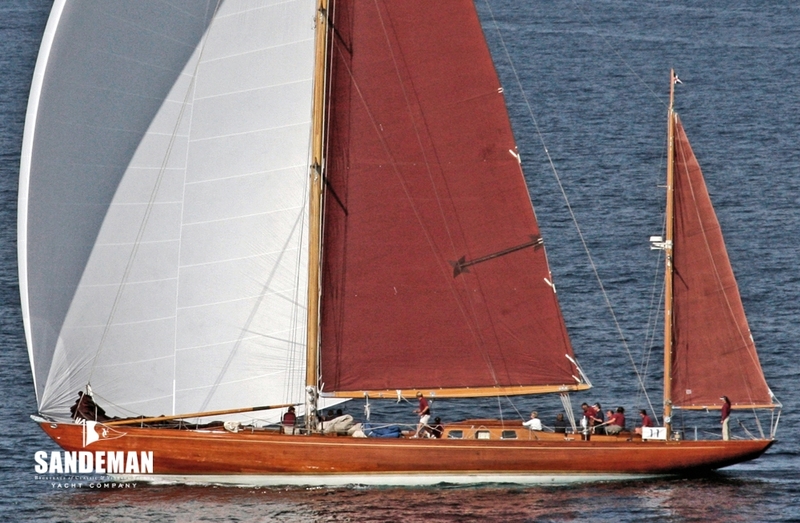 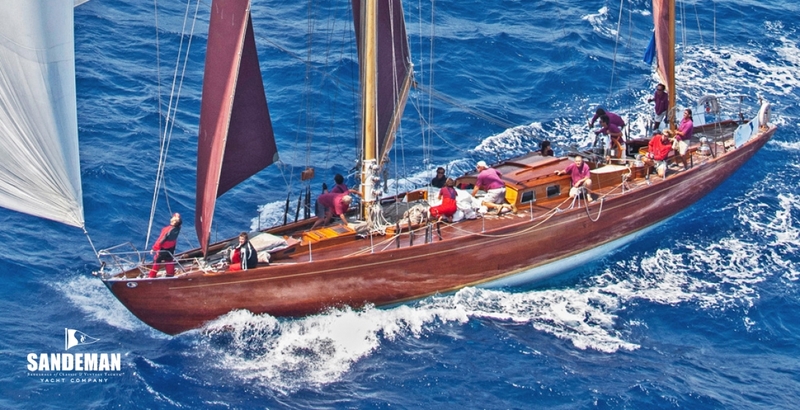 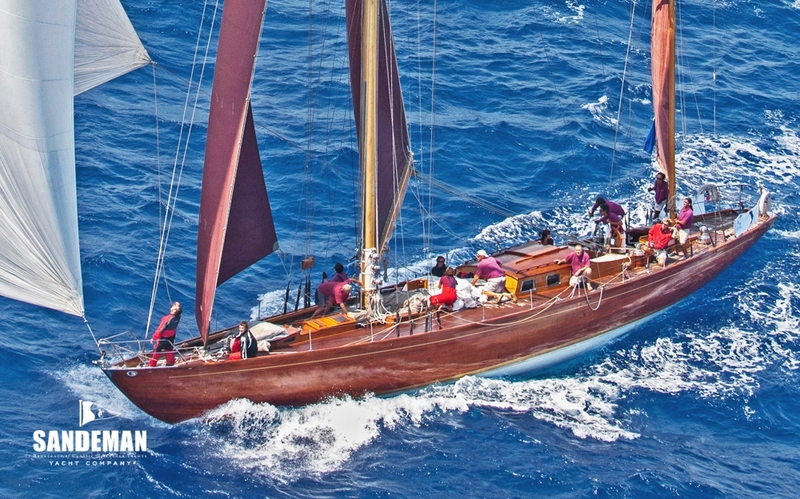 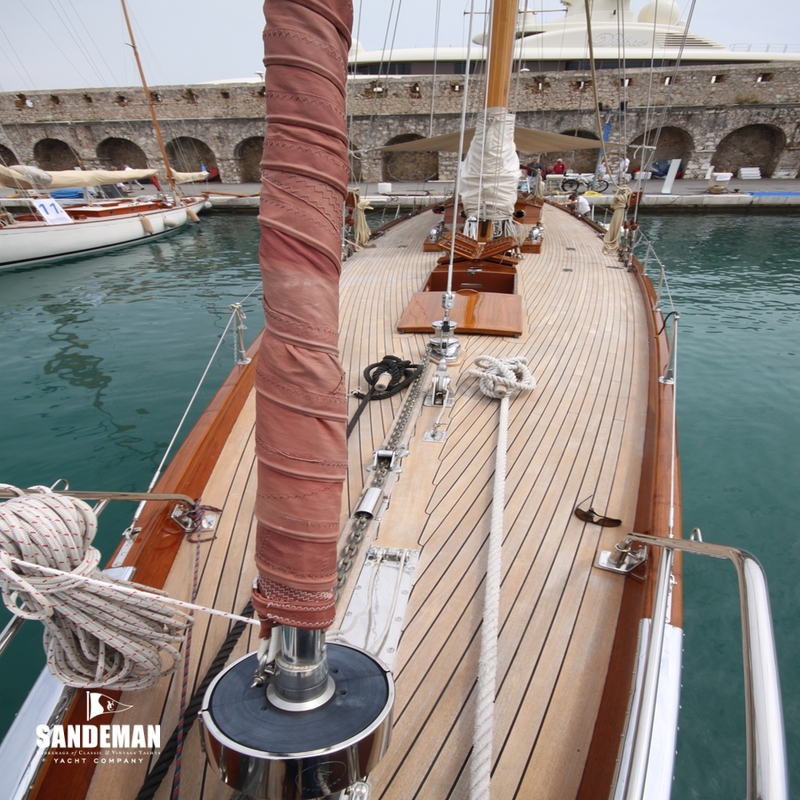 More recently her light displacement and awesome performance has brought her wins in the Vintage classes of Mediterranean Classic regattas. 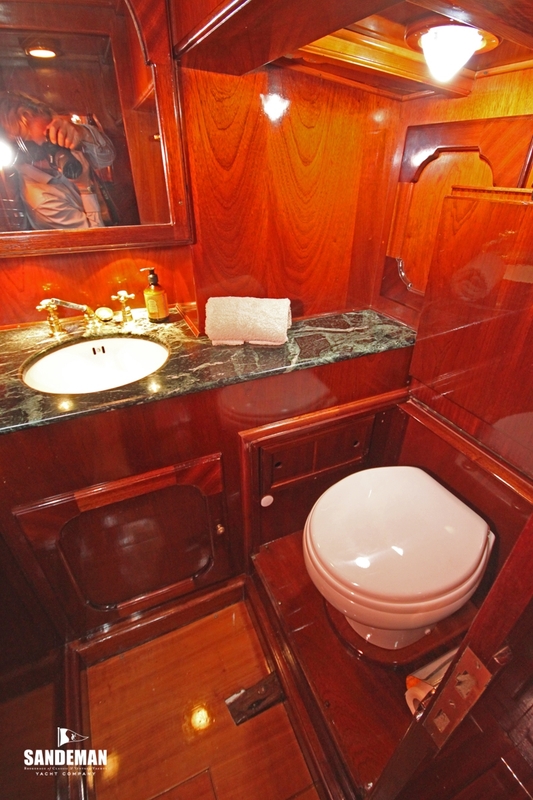 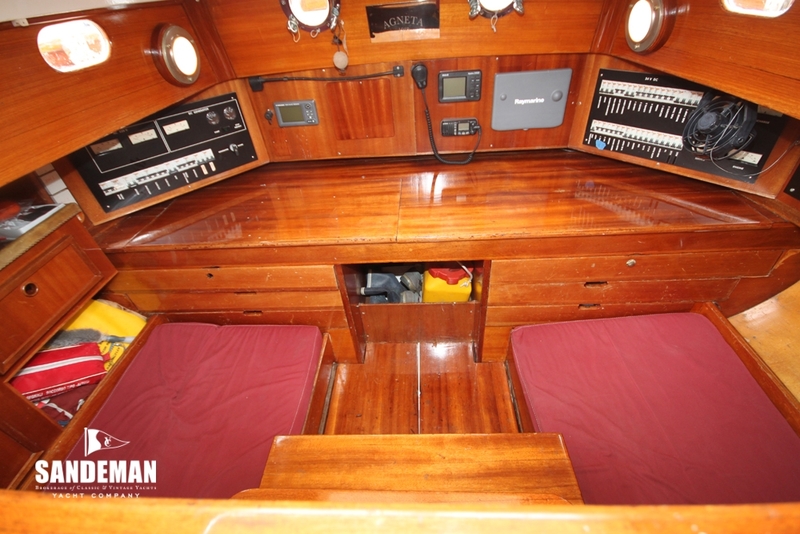 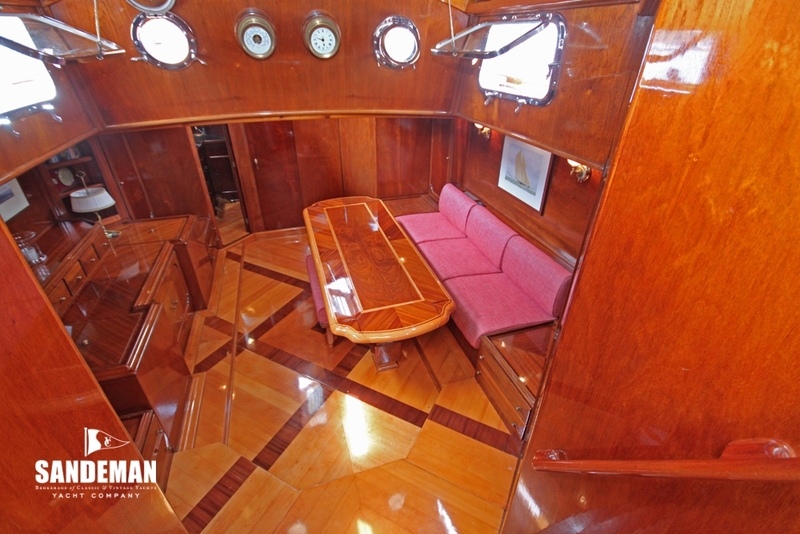 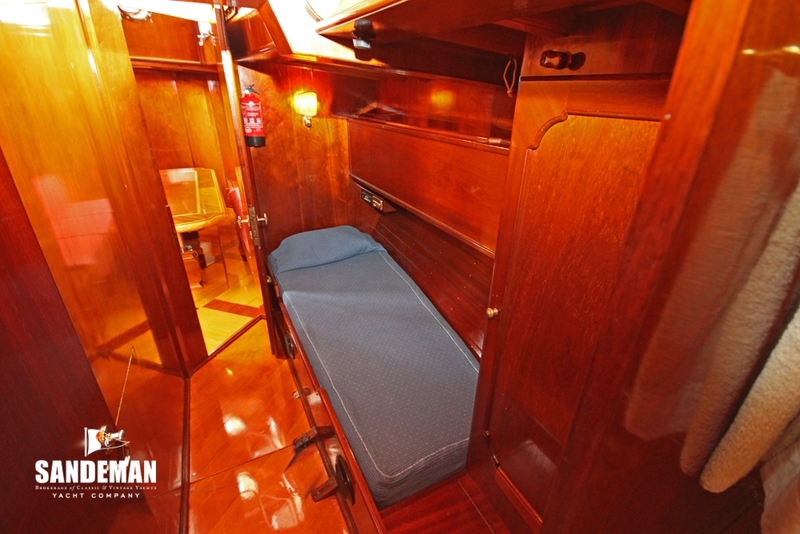 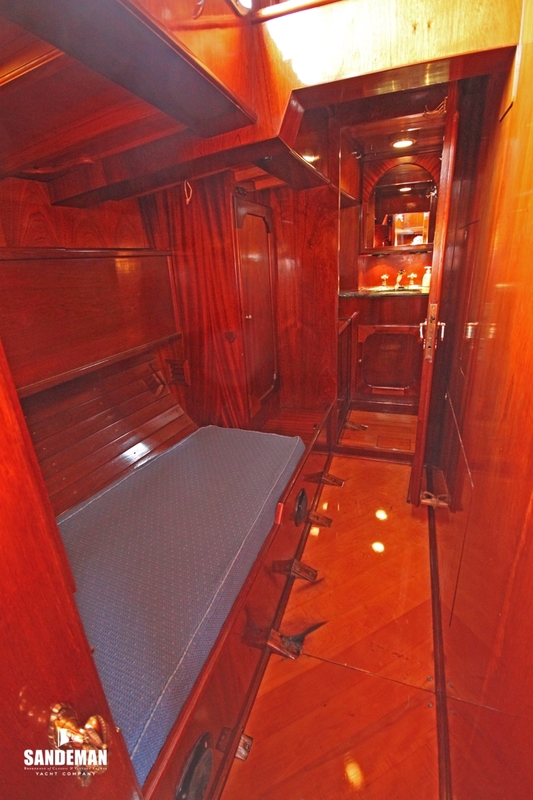 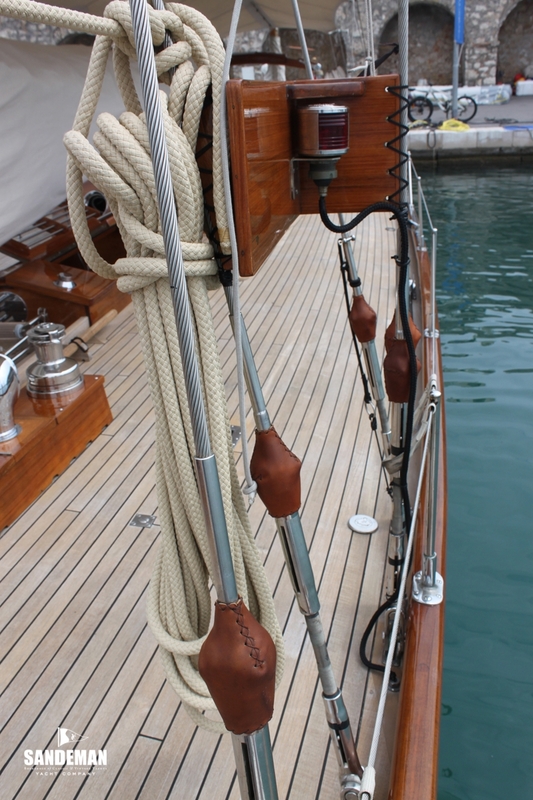 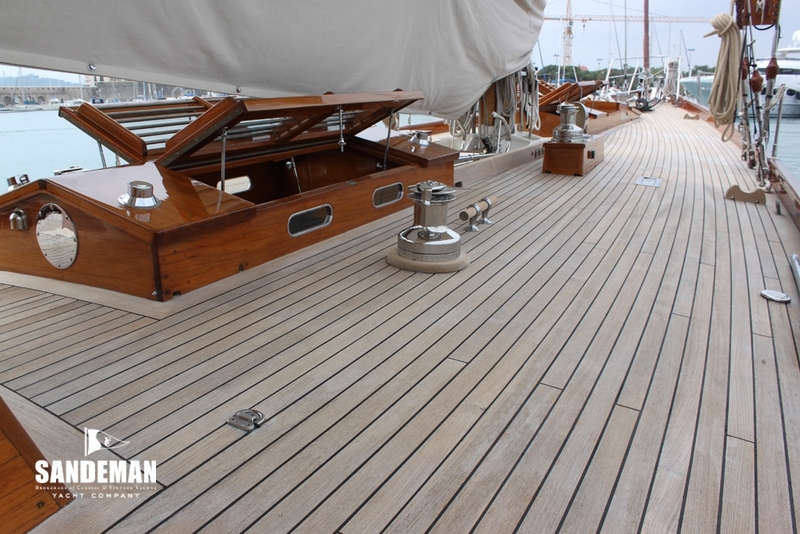 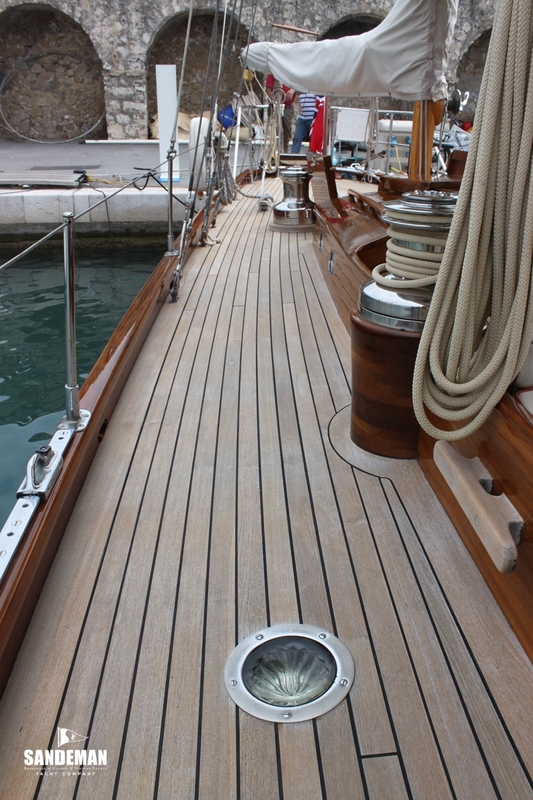 AGNETA is offered in impressive condition and absolutely ready to Classic race or cruise in comfort. 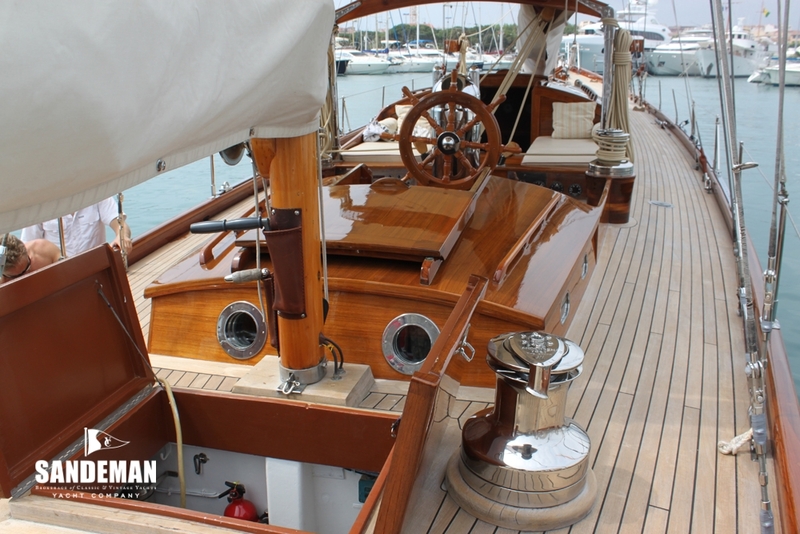 Original owner Mr. Wiberg kept the boat until 1959 when she was purchased by Mr.Gianni Agnelli, known as an admirer of beautiful and fast yachts. 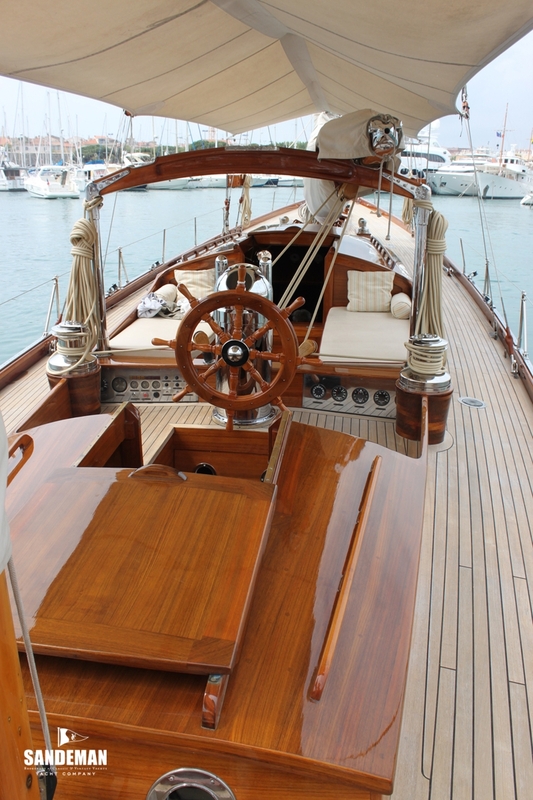 Mr Agnelli took AGNETA to The Mediterranean where she still lies, drawing admirers in every harbour she graces. 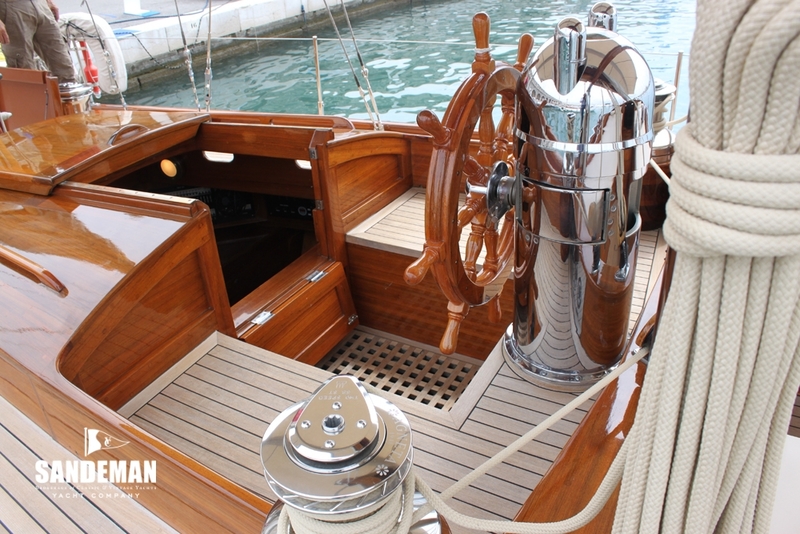 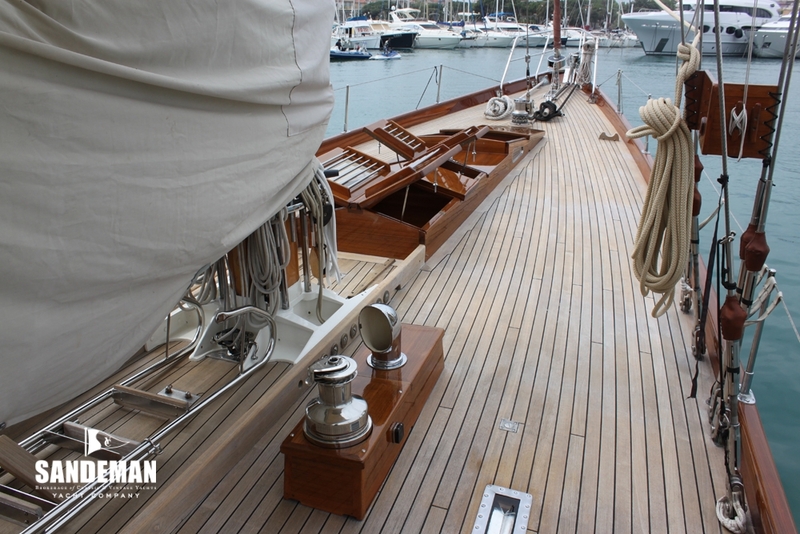 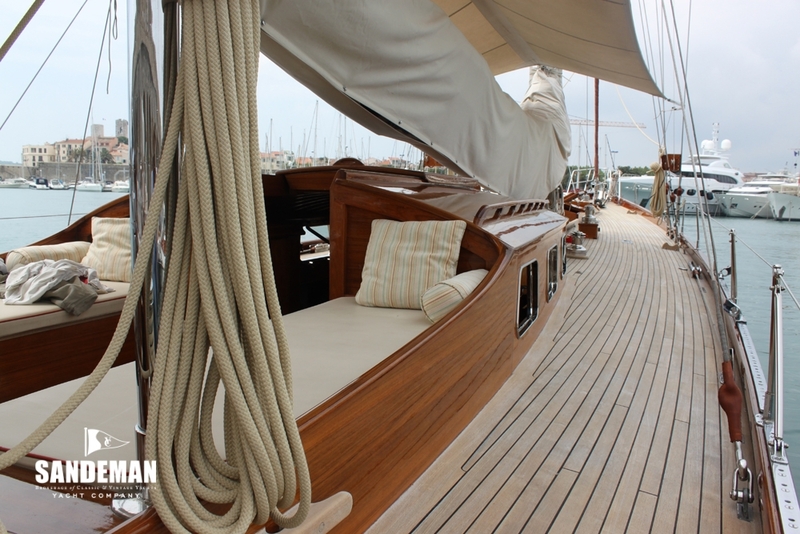 A keen yachtsman, Fiat Chairman Gianni Agnelli enjoyed more than 25 years of cruising and racing on this distinctive varnished hull yawl with her maroon sails. 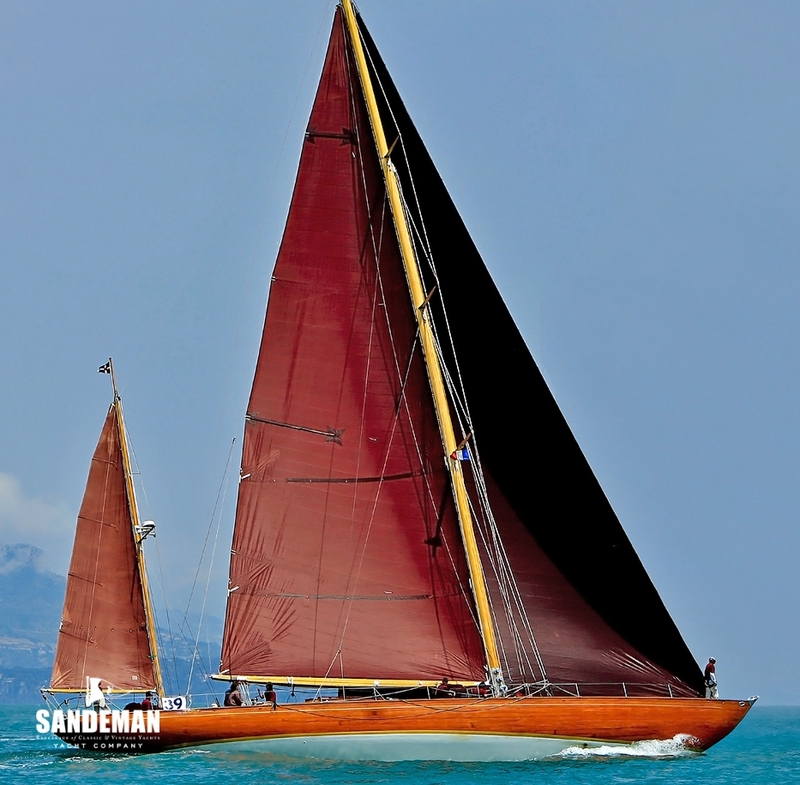 A paragon of beauty, and as a (light displacement) performer in on the Mediterranean Classic Yacht regatta racing circuit, she became very well known. 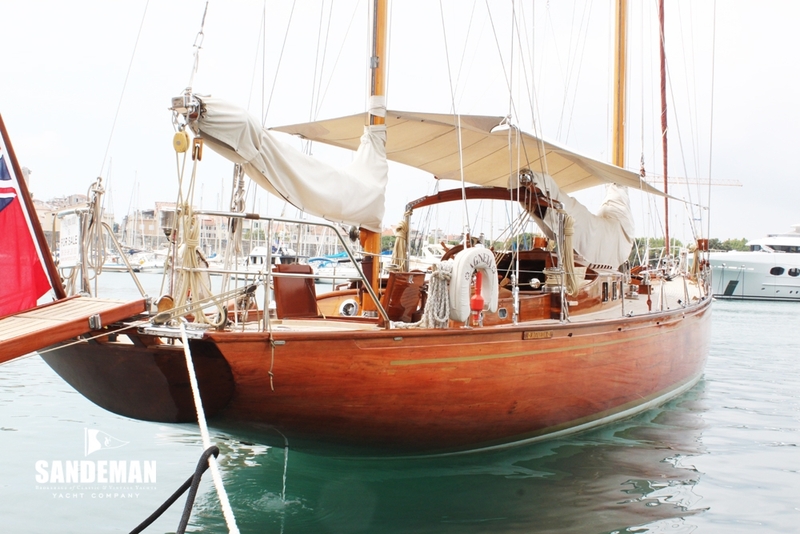 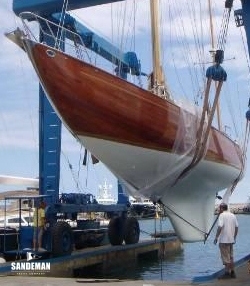 Guiseppe Antolini, her next owner, had the yawl thoroughly overhauled at Carlini Yard in 1987. 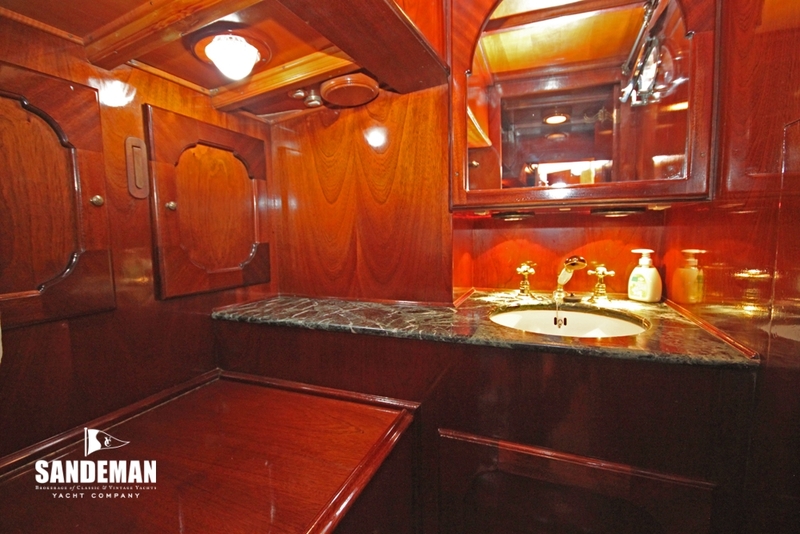 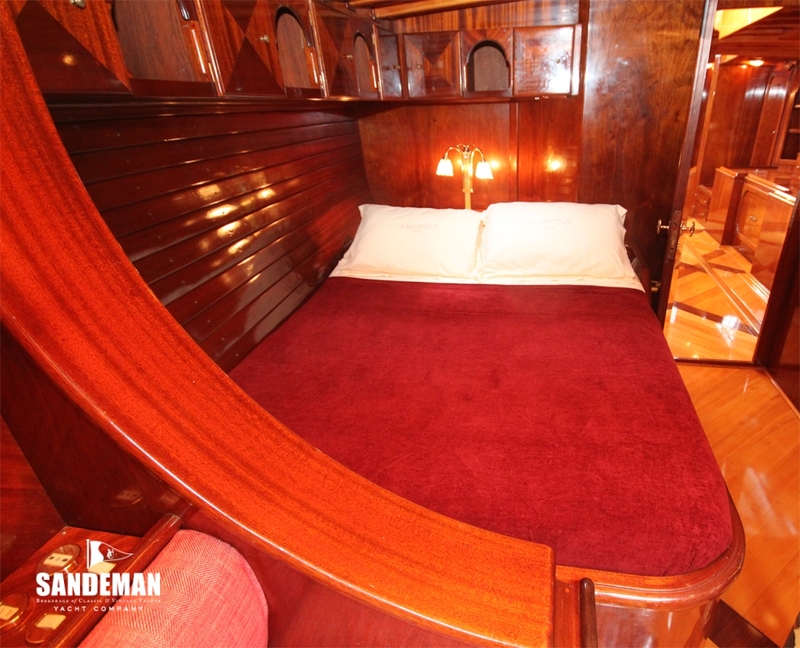 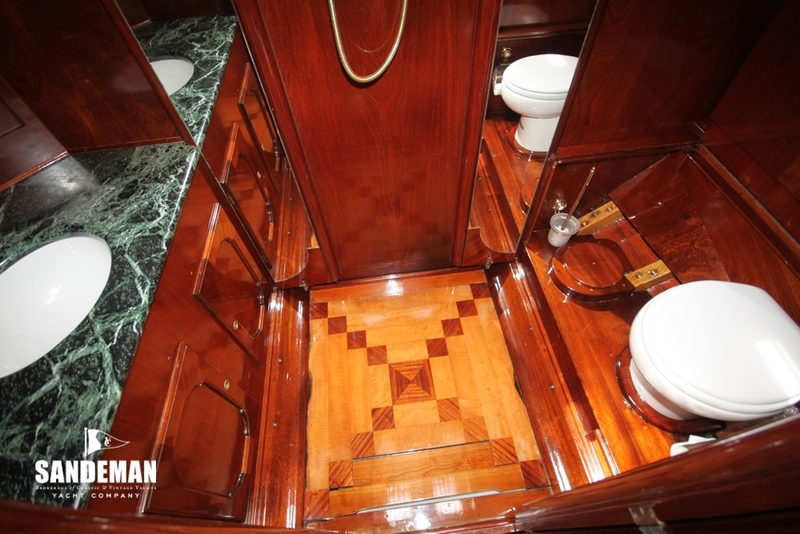 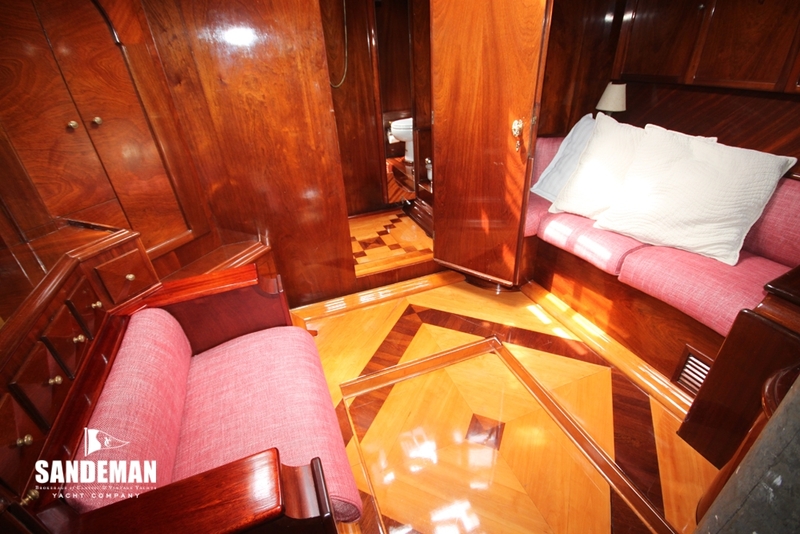 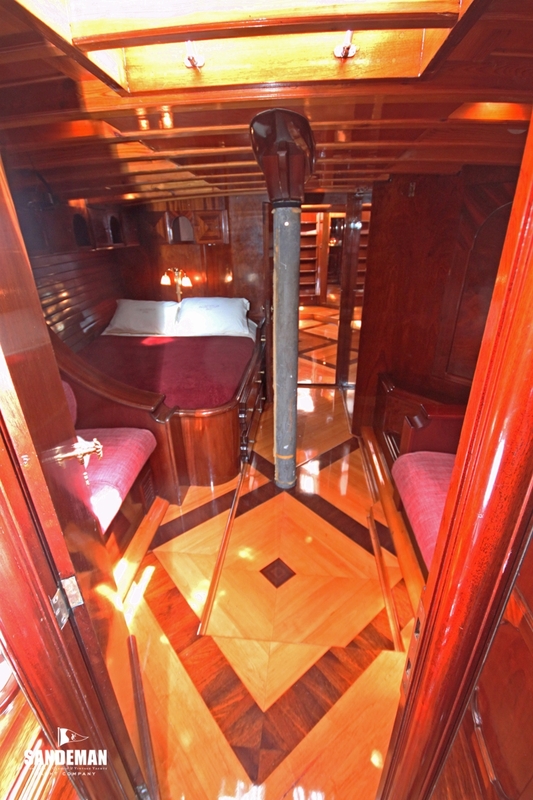 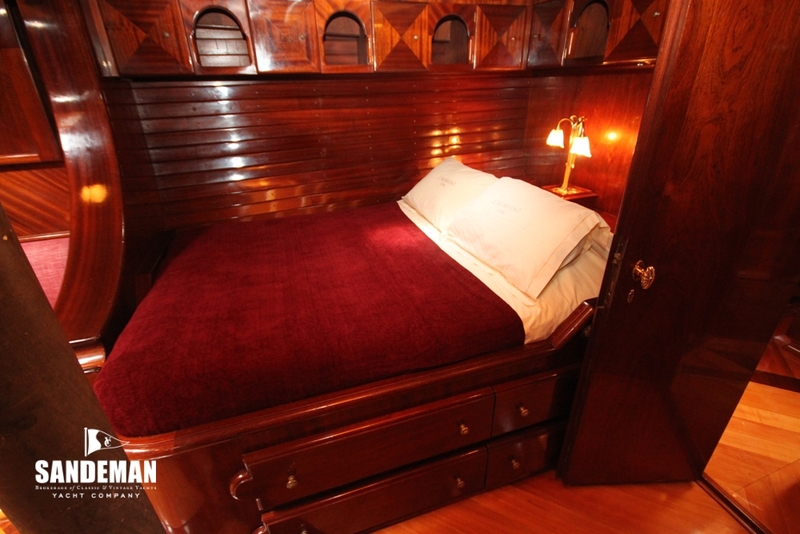 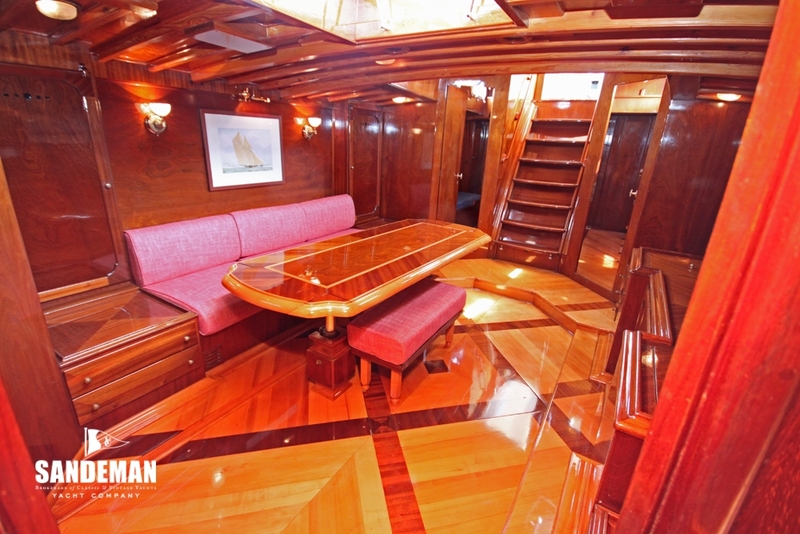 Following the wishes of his wife Raffaela, the interior was redesigned and lavishly rebuilt using rare woods. 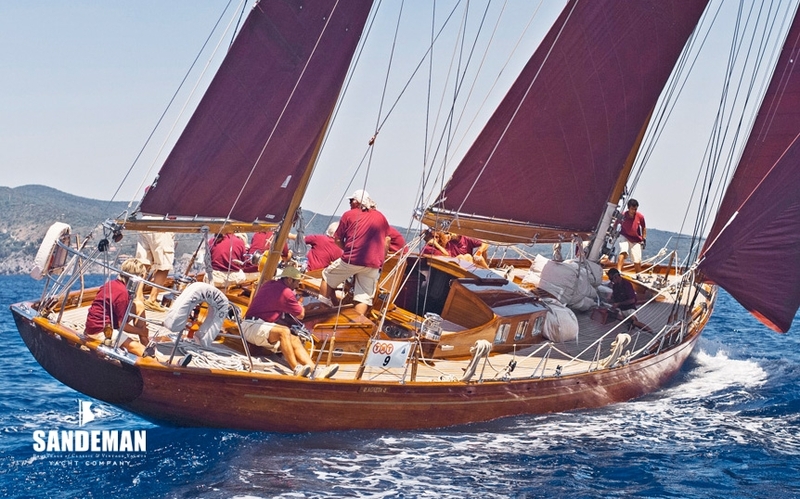 Together with helmsman Flavio Scala, a well known Italian Olympic sailor, AGNETA was a very successful regatta boat. 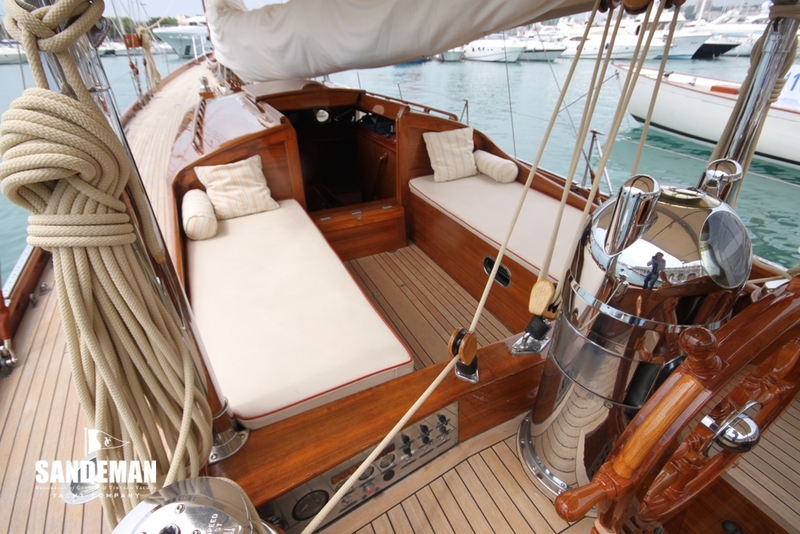 Her next owner from 1999 Mr. Peter Engels, completely refitted the yacht taking into careful consideration her history and original design. 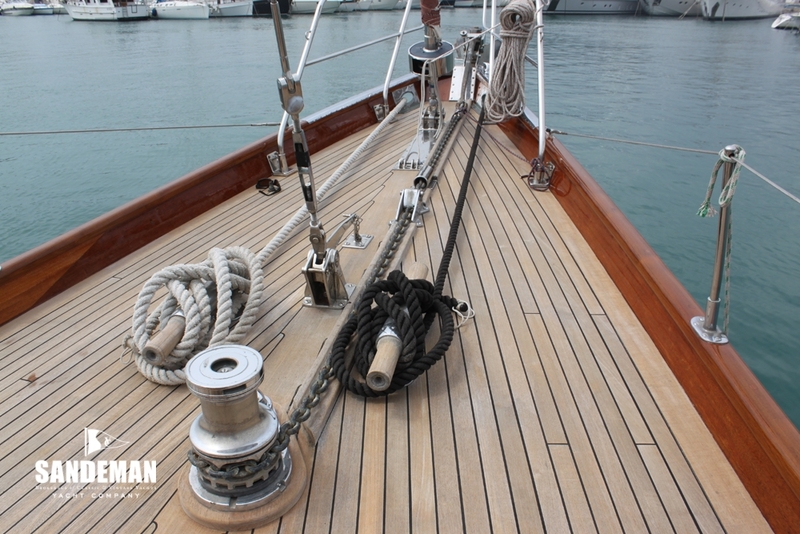 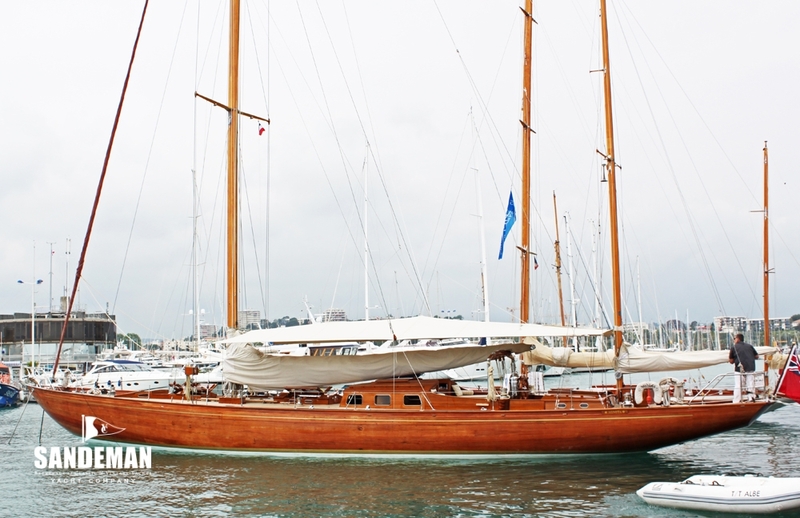 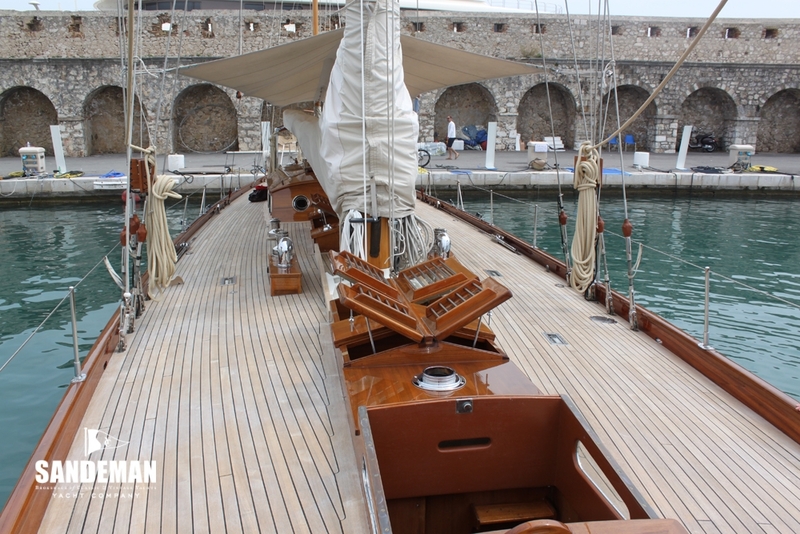 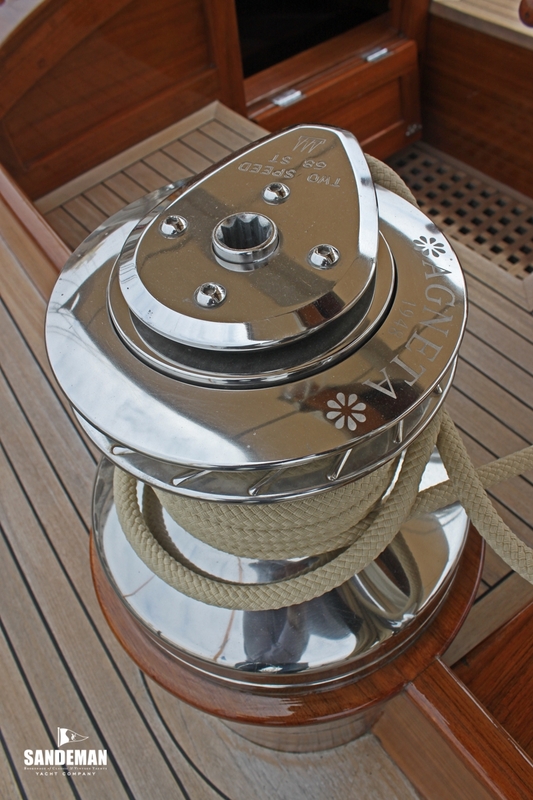 He regarded her as a piece of art, a historical monument of classic yacht construction. 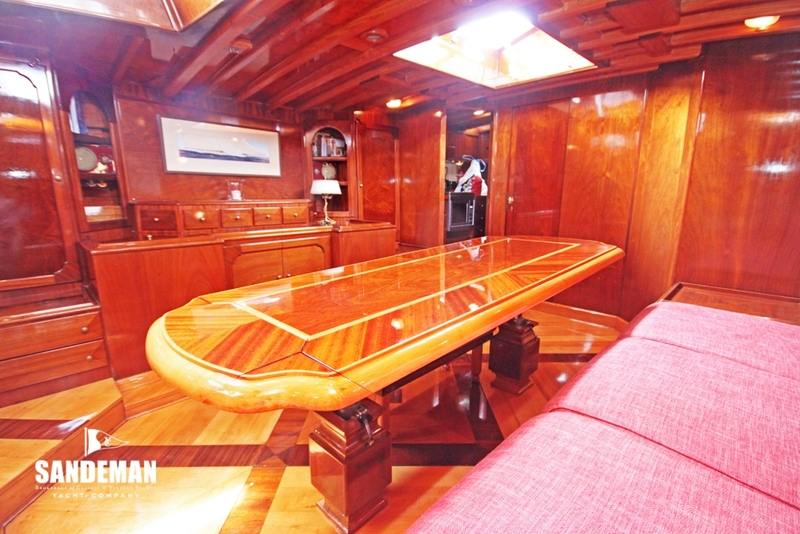 - Varnished Honduras mahogany planking on laminated oak frames, copper riveted.